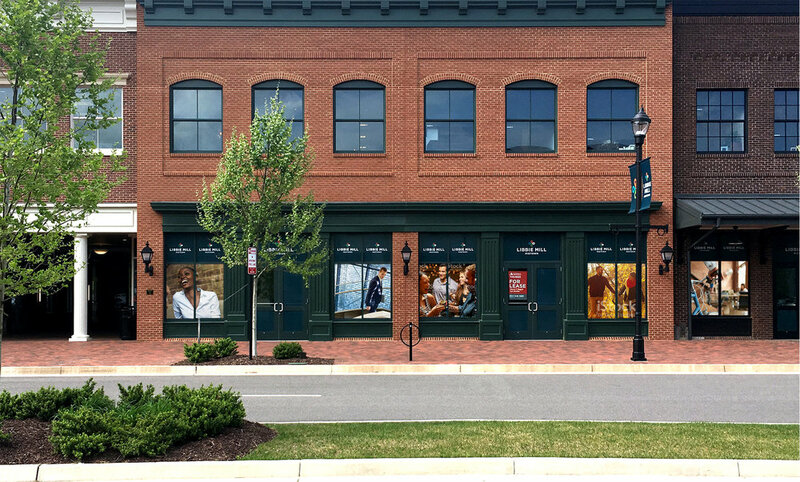 Comprehensive branding and marketing packages for Penstock Quarter and Harp’s Landing, and master brand rollout for Libbie Mill - Midtown. This new neighborhood not only offers office, shops, residences, and restaurants, but also parks, a beautiful lake, trails, and plazas that encourage walkability, spontaneity, and interaction. The community’s design nurtures a sense of openness and approachability supporting authentic and vibrant street life, with outdoor cafes, exciting boutiques, familiar local events, and much more. Working closely with Gumenick and partners, in order to push forward Libbie Mill’s sense of place, Creative helped to focus the masterbrand strategy, producing naming concepts, marketing materials, and signage to reach a wide audience: tenant brokers, retailers and restauranteurs, corporate companies, potential patrons, daily visitors, guests, and of course, residents. 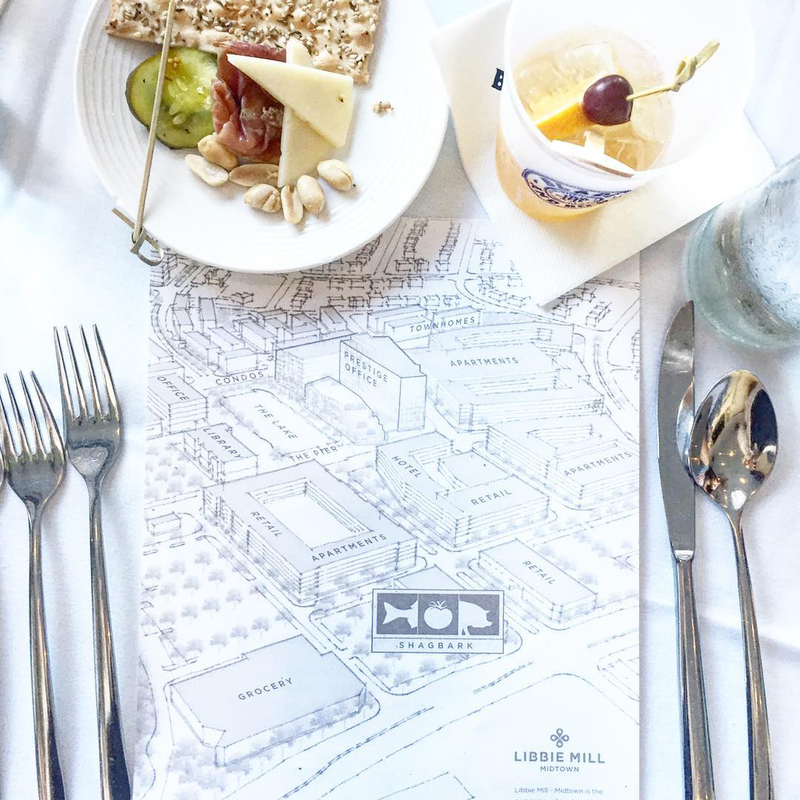 This all-encompassing approach allowed for a seamless brand identity across the board to solidify Libbie Mill as a true live, work, learn and play community. 'The Maker' Moodboard is a visual touchstone for brands in the Libbie Mill - Midtown neighborhood. Hickok Cole Architects partnered with Gumenick and Creative to create an illustrated masterplan as Libbie Mill grows. 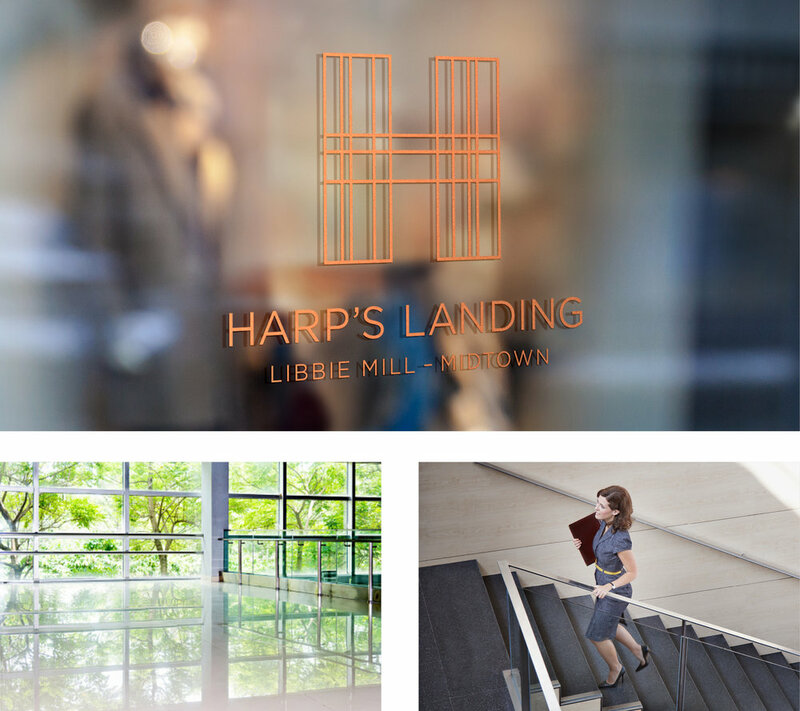 After fleshing out the naming strategy for Libbie Mill with a theme celebrating Richmond's history of craftsmanship and 'makers,' Creative delivered strategy, branding and marketing packages for Penstock Quarter, a new apartment building, and Harp's Landing, a new office building, at the center of Libbie Mill's growing neighborhood. 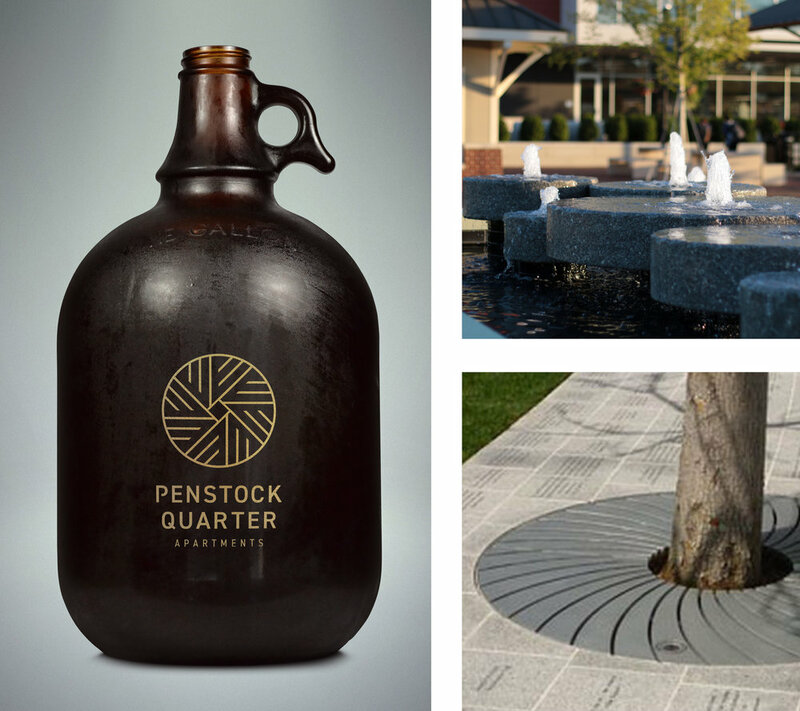 Penstock Quarter came first with a celebration of the millstone, and Harp's Landing followed within the same visual language, taking the furrows in the Penstock logo icon and translating them to Harp's Landing's syncopated glass facade.